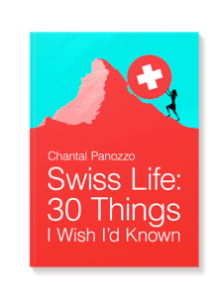 Swiss Life: 30 Things I Wish I’d Known (May 2014) is a collection of both published and new essays in which Chantal discovers that no matter how hard she wills her geraniums to cascade properly, she will never be a glamorous American expatriate—or Swiss. 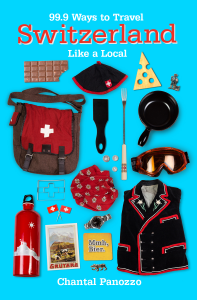 99.9 Ways to Travel Switzerland Like a Local (May 2017) is one part travel book, one part culture guide, and total bucket list enjoyment. 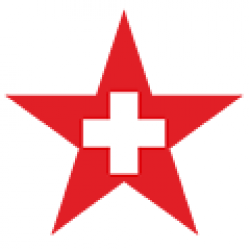 It allows readers to say adieu to Lucerne and allegra to the place the Swiss voted most beautiful. It encourages souvenir shoppers to cut the Swiss army knife from their list and replace it with a rubber messenger bag. And it gives tourists the inspiration they need to stop following umbrella-toting tour guides (or books that act like them) and start following 320,000 well-dressed Swiss cows instead. 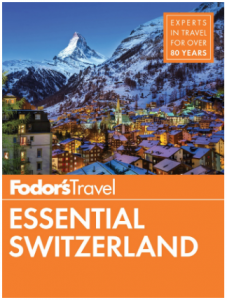 Fodor’s Essential Switzerland (2018) It’s tough making sure the Rheinfall is still there, but somebody’s got to do it. For this book, I updated the Eastern Switzerland and Liechtenstein chapter. Don’t miss the beautiful city of St. Gallen, which is often overlooked by visitors. The Abbey Library, one of the most beautiful in the world, is a World Heritage Site. 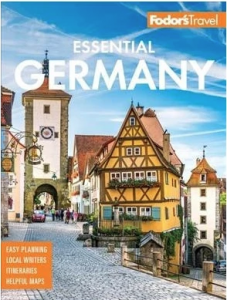 Fodor’s Essential Germany (2019) For this book, I contributed to the Bodensee chapter. The city of Konstanz is a great place for shopping and dining. But my favorite place in this section of Germany is Insel Mainau. Go there in the spring for the tulips or anytime for the amazing children’s playground, possibly the best one in Europe. 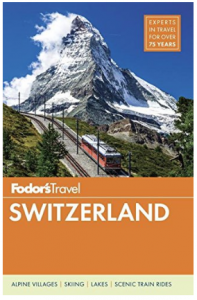 Fodor’s Travel Switzerland (2015) This book took me to cities like Appenzell, Vaduz, and Schaffhausen–if you know your Swiss geography, then you know I updated the Eastern Switzerland and Liechtenstein chapter. Schaffhausen has one of the most beautiful Old Towns in all of Switzerland and of course, its Rheinfall, the largest waterfall in Europe, is definitely worth a detour.